Bodybuilders who lost all the gains. 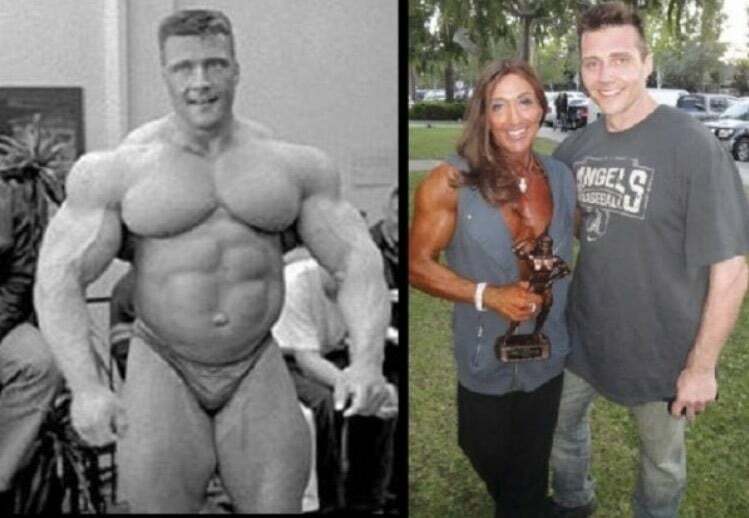 When it comes to professional bodybuilding, fans and pundits alike usually focus on the stories of lifters who have taken themselves from skinny nobodies to massively muscled individuals you could barely consider human. It’s the nature of the endeavor. 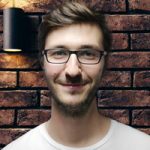 You tend to want to think about the positive effects of bodybuilding, the success stories, and all the while never give much consideration to what happens once an individuals bodybuilding journey comes to an end. Not every bodybuilder is like Robby Robinson and keeps their gains for all time. 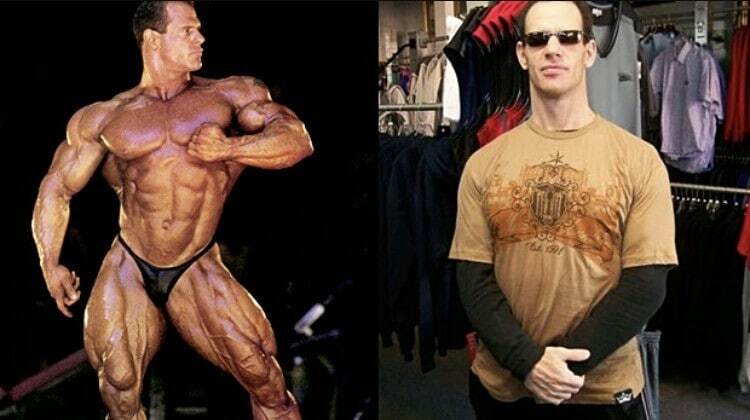 Some bodybuilders end up losing their gains and all the glory that came with it. 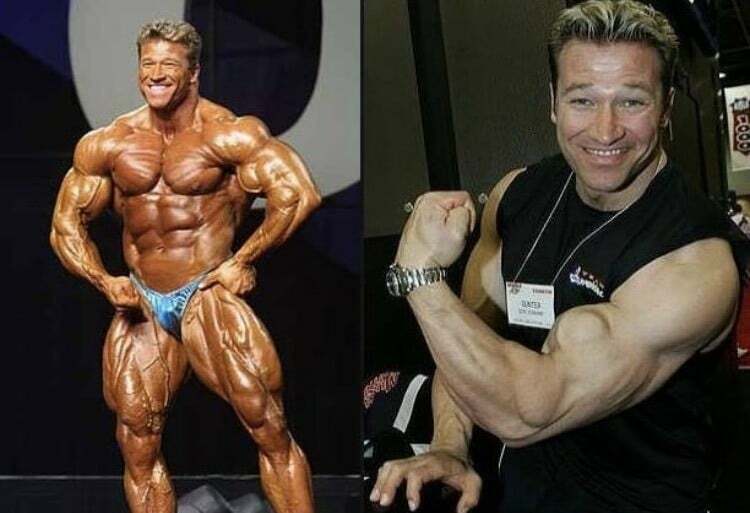 This list of bodybuilding standouts are examples of the top pros who reached the pinnacle of the sport and have now regressed and lost all their gains. 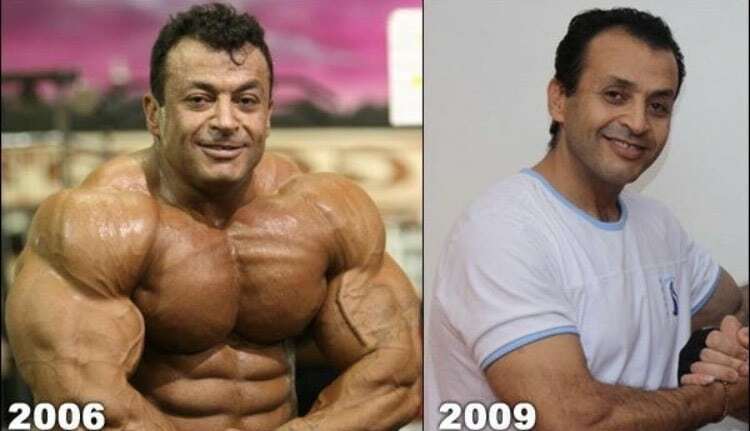 One of the biggest mystery cases in bodybuilding, Mustafa Mohammad was a bodybuilder who showed great promise. In his twenties, he won two world titles outside of the IFBB and looked like he could potentially dominate the competition. Then he retired suddenly only to return nine years later. While he was still physically impressive he was never quite able to get to the top of the sport. Fast forward another decade and it would appear that all of Mustafa’s gains have left him. Despite that, he still had one of the most memorable physiques in bodybuilding history. In the case of Jean Pierre Fux, an unfortunate mishap in the gym proved to be his undoing. At the height of his powers, Fux was an absolute mass monster who turned heads at every competition. He had the size and the physique to take his career very far. But ultimately it was a squatting accident that would prove to halt his career. While he still tried his best to train after his knees were destroyed, ultimately he had to give up on the idea of continuing his bodybuilding career and lost his gains as a result. Often considered one of the most aesthetic bodybuilders in the sport’s history, Bob Paris was a high-level competitor during the eighties and the era of Lee Haney. He was known for his artistic approach to posing and was clearly one of the best bodybuilders of his era. Eventually, he would retire from the sport in 1991. Since then Paris has become a Civil Rights advocate, has performed in stage plays and on television, and has written a number of books. Since that time it’s clear that he hasn’t hit the weights with relish for some time as his gains have all but vanished. Known as ‘The Gentle Giant’ Gunter Schlierkamp was one of the top pros to come out of Germany. He cracked the top ten at the Olympia from 2002 to 2006 and proved to be one of the top pros at the time. Eventually, he retired and moved on to acting where he has snagged a number of roles, including his turn in the 2006 cult classic Beerfest. Since then, however, Gunter’s gains have gone the way of the dinosaurs. In his heyday, Tom Prince was an absolute beast of a man. With an offseason weight of 312 lbs and a competitive weight of 230 lbs, Prince pushed his body past its limits in order to compete at the highest levels of the sport. But it’s perhaps that weight disparity that ultimately caused his downfall. Cutting 82 lbs to get down to his competition weight, along with many other factors, caused Prince’s kidneys to fail, which ultimately led him to retirement. Since then his body has completely shrunk leaving no trace of the massive muscle he once possessed. What do you think of these top pros losing their gains? Road To Olympia 2018: Dexter Jackson "People's Champion Is Great Idea"